In the five decades that UCLA has conducted its survey “The American Freshman,” a troubling trend has recently emerged: students’ emotional health is declining dramatically, with large numbers now reporting depression, stress, anxiety, and feelings of being overwhelmed. Timothy Shriver said academic institutions should include contemplative practices for students to help them balance their lives. For Timothy Shriver, an educator, author, entrepreneur, and chairman of the Special Olympics, the mental health crisis affecting so many young people cannot be ignored by the institutions of higher education where they study.The solution lies not in teaching students to do more, but in teaching them to do less, said Shriver. In fact, it is in teaching them to do nothing—that is, to engage in contemplative practices such as mindfulness meditation and sitting in silence as a means of gaining greater self-awareness. On April 27 at Fordham Law School, Shriver shared his views on implementing contemplative practices into higher education in conversation with faculty members, administrators, students, members of the Jesuit community, and other invited guests. 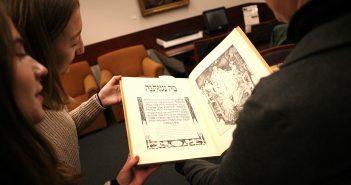 The event was sponsored by Fordham’s Center on Religion and Culture. Joined by his wife, Linda, and their daughter, Caroline, a freshman at Fordham College at Lincoln Center, Shriver extolled the experience of silence as a means through which one can combat depression and anxiety by encountering the true self and coming to self-acceptance. “The silence that has come to us from contemplative practice can be . . . a source of direct experience of one’s goodness,” he said. Shriver addressed the fact that though so many religious traditions have contemplative practices at their root, these techniques are rarely offered as a means of coping with day-to-day problems. “If we are looking at people who are so hungry for a sense of their own beauty and goodness, why is it that we haven’t created a developmental path using the resources of our religious traditions, translating them into contemporary practice to allow young people to access them?” he asked. 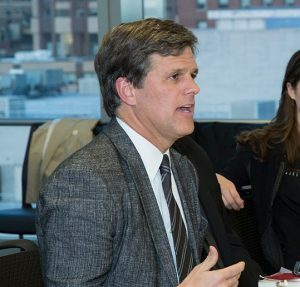 Fordham community members agreed with Shriver that there is a great hunger among students for classes and experiences that help them connect with their inner selves. Father Jose-Luis Salazar, SJ, executive director of Campus Ministry, said that all of the retreat programs offered each year are overbooked. 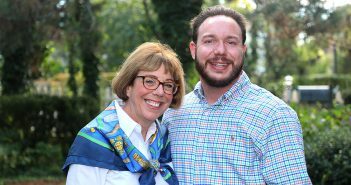 For Shriver, who has a master’s degree in religion and religious education, a doctoral degree in education, and who worked for 15 years in the New Haven, Connecticut, public school system, the benefits of contemplative practice are clear. “All the data suggests that integrating ‘the pause’—whatever we want to call it—increases academic achievement, decreases psychopathology, and increases positives states and satisfaction across the board,” he said. Shriver’s book, Fully Alive: Discovering What Matters Most (Crichton 2014), recounts his own spiritual journey and his work with the Special Olympics.